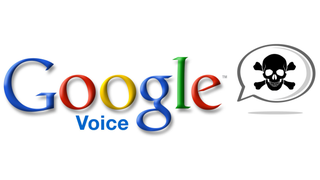 Brace yourself Google Voice fanboys, your treasured service is probably not long for this world. But don't you worry; the sooner it's dead the better we'll all be. Reports are coming in from 9to5Google that everyone's favorite search engine is about to bring the axe down on its long-neglected phone service. That should come as no surprise as it's been leading Voice to the chopping block for ages. The good news though, 9to5Google reports, is that all your favorite Voice features will be transplanted to a service Google actually gives a damn about: Hangouts. That means loyal Voice users will simply be able to jump ship to Hangouts, meanwhile gaining features like VOIP calls from mobile devices—something iOS users have already tasted, but Android users have been left without. There's no word on timing, but Google I/O is on the horizon, which is a great opportunity for Google to showcase Hangouts' new superpowers while quietly putting Voice out of its misery backstage. And if you're quaking at the thought of saying goodbye old pal Google Voice just keep on reading below and soon you'll be clamoring for its head like you should be. Get ready for input and then also some output; Google I/O is officially scheduled for June 25-26th.